According to the U.S. 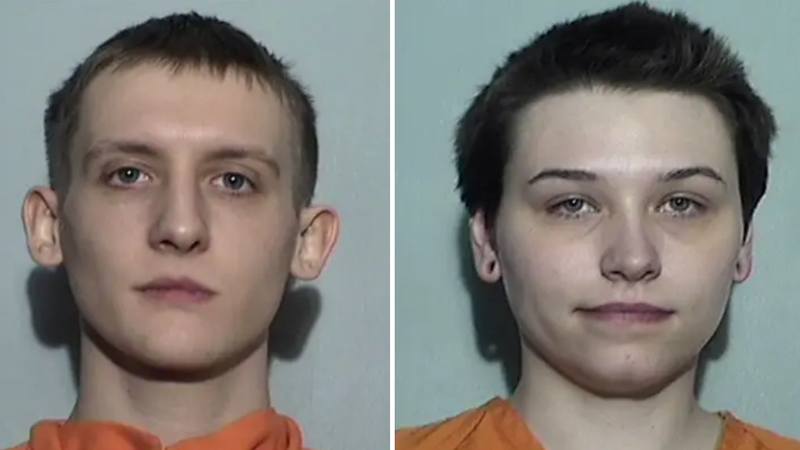 Attorneys Office for the Northern District of Ohio, 23-year-old Elizabeth Lecron and her boyfriend, 23-year-old Vincent Armstrong, were arrested after the couple bought items to manufacture a bomb and discussed plans for mass murder with undercover agents from the FBI’s Joint Terrorism Task Force. On July 11, a tipster contacted Toledo police, informing them that Lecron “had recently expressed a desire to conduct a violent attack and was in possession of multiple firearms and the beginning elements of a pipe bomb.” The authorities discovered that Lecron’s Tumblr page showed an obsession with mass shootings and hero worship of people who had committed some of the worst atrocities in history (Again, not like slavery or the extermination of the native Americans. Think smaller... And more recent). Accordingly, the FBI began monitoring the couple’s social media accounts. After her Tumblr account was shut down for offensive content, Lecron started a new profile about mass casualty events. She chose the name “CharlestonChurchMiracle” in honor of one of her heroes, Dylann Roof. By July, Lecron had begun a letter-writing relationship with Roof, who asked that Lecron send him a few books about Nazis and uprisings. Lecron dutifully replied by sending the murderer a book about a Belgian Nazi. In August, she and Armstrong decided to travel to Colorado and visit the site of the 1999 Columbine Massacre. “We’re gonna try to hit Rampart Range, the memorial, the gas station, the bowling alley and such. It’s gonna be a lot of fun and I can’t wait to post pictures,” Lacron wrote on her Tumblr before the trip, Buzzfeed reports. But while the couple was on their death-inspired bae-cation, a federal judge issued a search warrant for the couple’s home. Investigators discovered an AK-47, a shotgun, multiple handguns, items used to manufacture pipe bombs and (I’m just guessing here) very few socks. For some reason, people who have Tumblr accounts and white supremacists’ feet are always dirty on the bottom, although it is definitely not an indication of a crime. After discovering the couple’s weapon’s stockpile, journals and a troubling sock shortage, undercover agents began communicating with Lecron. First, she tried to organize an anarchist team. Then she told them she wanted to attack a bar in Toledo, to have the first “upscale mass murder,” (I know what you’re thinking, but she probably never heard about Black Wall Street). Lecron had mapped out the exits at the unnamed location for her plan. Lecron later told the feds she wanted to attack a farm. Then she told the agents that she had started making her own pipe bombs. Then she was going to attack her job. She was very ambitious (lack of socks aside). Possession of a firearm in furtherance of a crime of violence. Lecron is also charged with transporting explosives in interstate commerce and Armstrong faces an additional count of making false statements. If they are convicted they face life in prison. Neither Armstrong nor Lecron was charged with a sock-related misdemeanor.